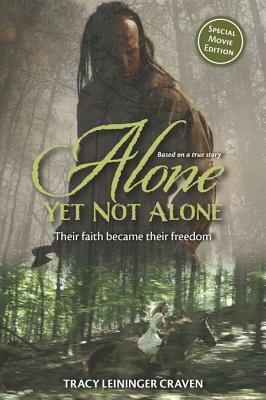 Alone Yet Not Alone is the engaging story of two sisters that is set in my own area. I grew up in the Appalachian mountains of Pennsylvania. Our area is rich with history of the 1700s and 1800s. I was constantly surrounded by historical stories and local lore. I was instantly attracted to this novel because it was set in Pennsylvania. It is story that is familiar to the area but I hadn't heard this specific tale before. Alone Yet not Alone is a Middle Grade book and is less than 150 pages. It was a fast read- even the youngest middle grade readers will be able to read this quickly. It has a simple vocabulary and easy to understand dialogue. The plot line was simplified (I found myself wanting more as an adult, but it would be absolutely appropriate for the age group it was written. ) The book is action packed and does not spend much time info-dumping or describing the details of what the characters wore or did. I enjoyed reading about what happened to Barbara and her faith in God. Alone Yet not Alone will be released as a movie later this spring. I am eagerly looking forward to watching the movie- I encourage anyone with middle grade readers, or someone interested in the French and Indian war to pick up this short and fascinating historical tale!